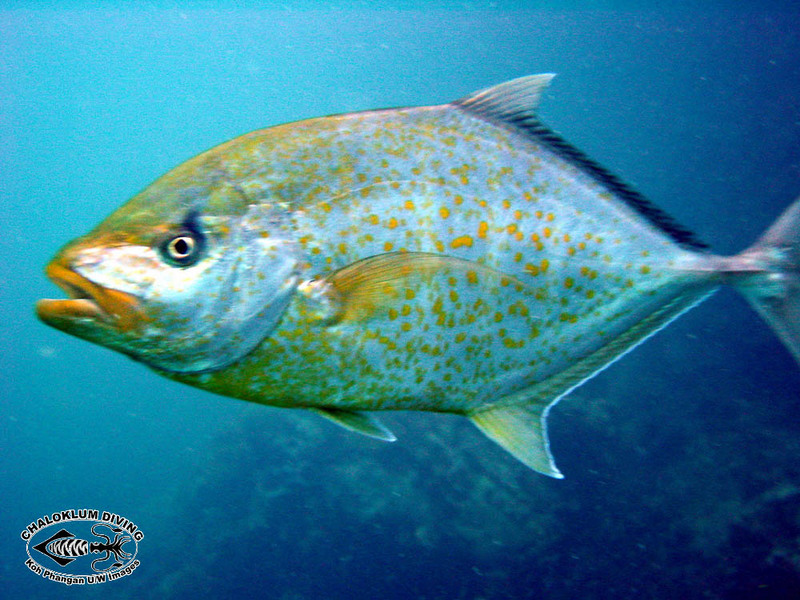 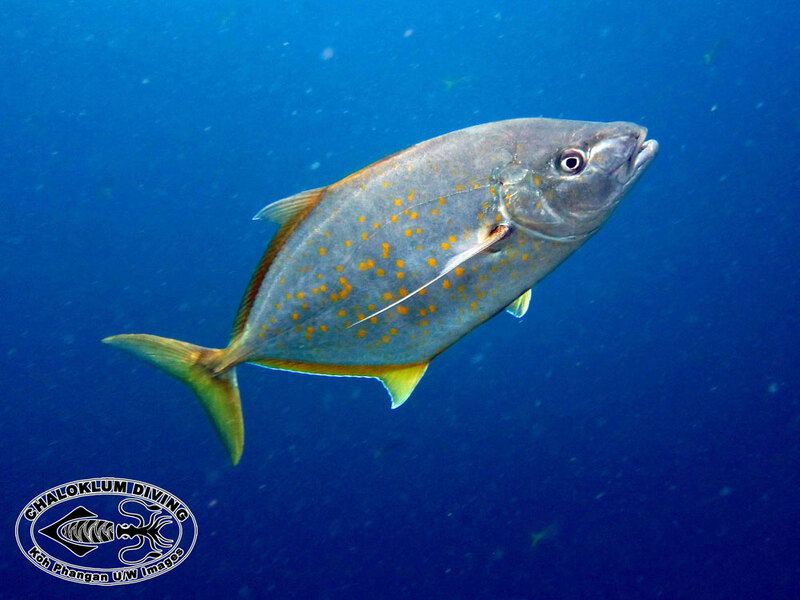 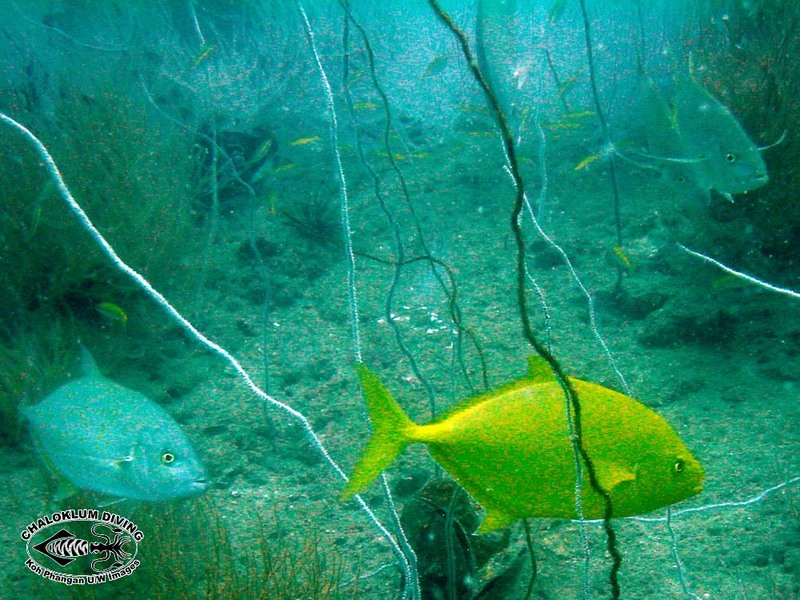 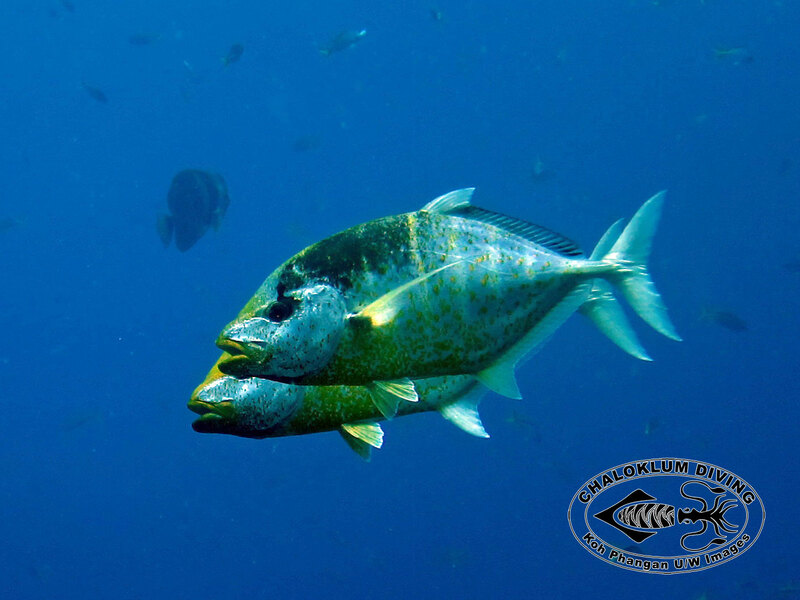 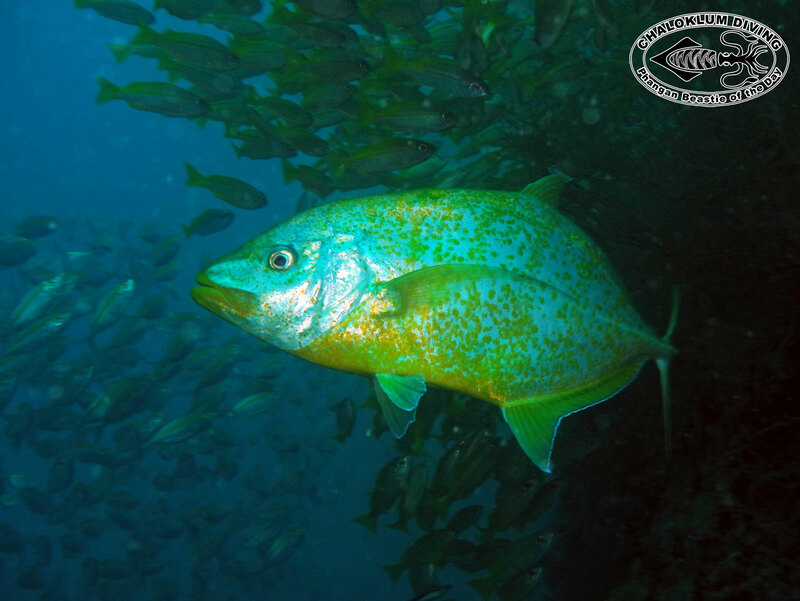 The Gold-spotted Trevally is a clever hunter and is not afraid of divers. 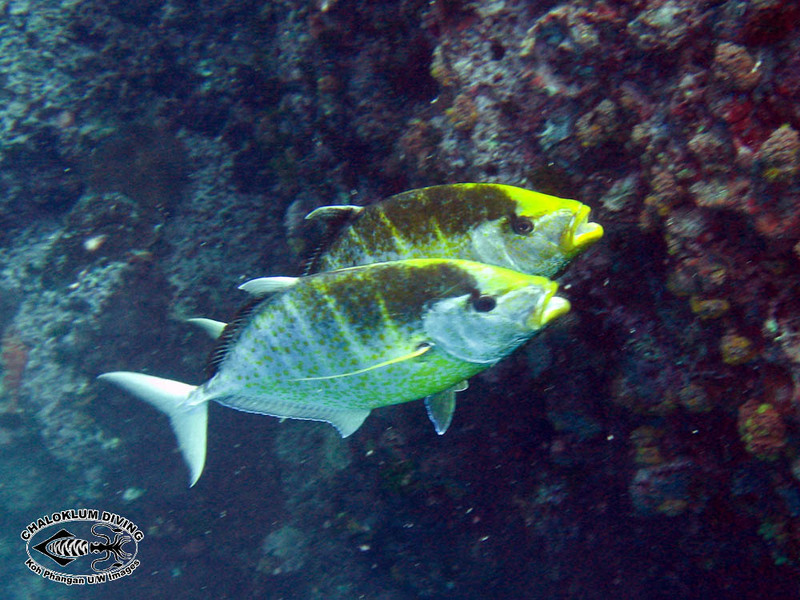 I’ve had one swim along next to me as I was diving, using me as cover to get closer to its prey ! 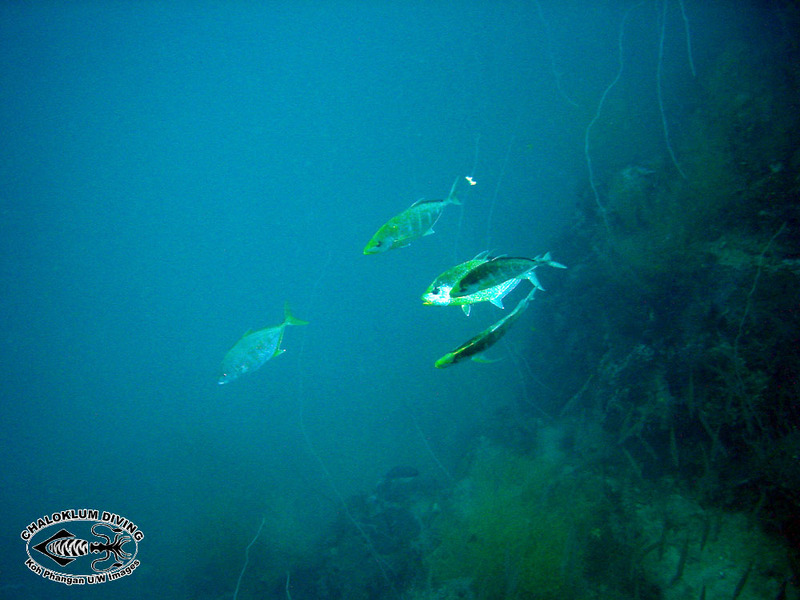 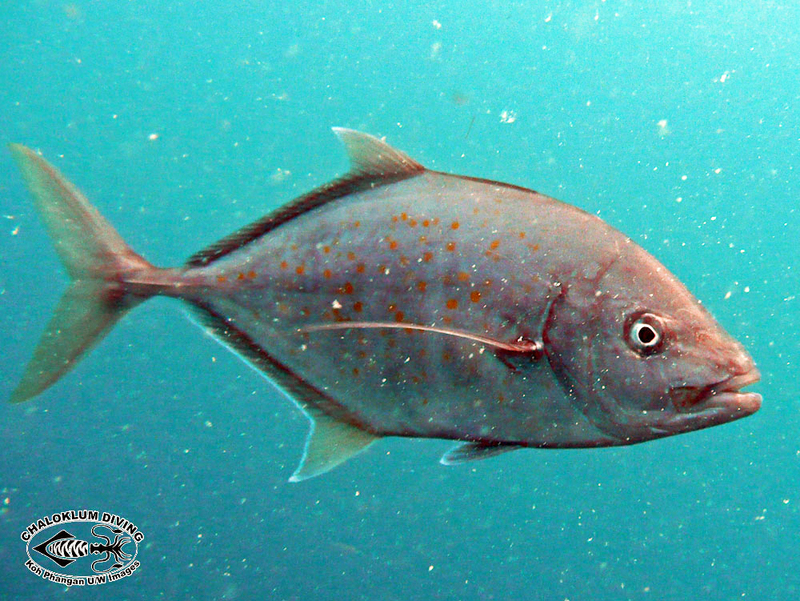 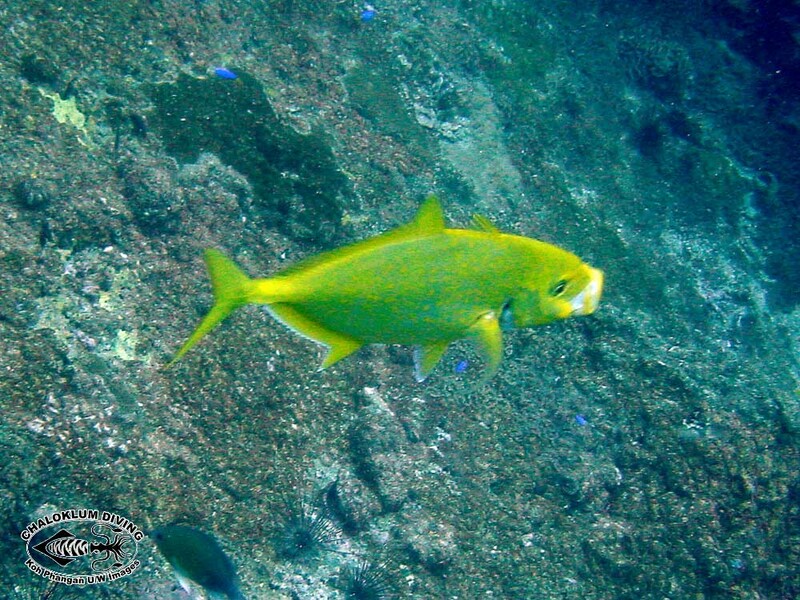 Described by Fishbase as a powerful predator and typical of its species, we see this fish at most of our dive sites, swimming alone or in small groups. 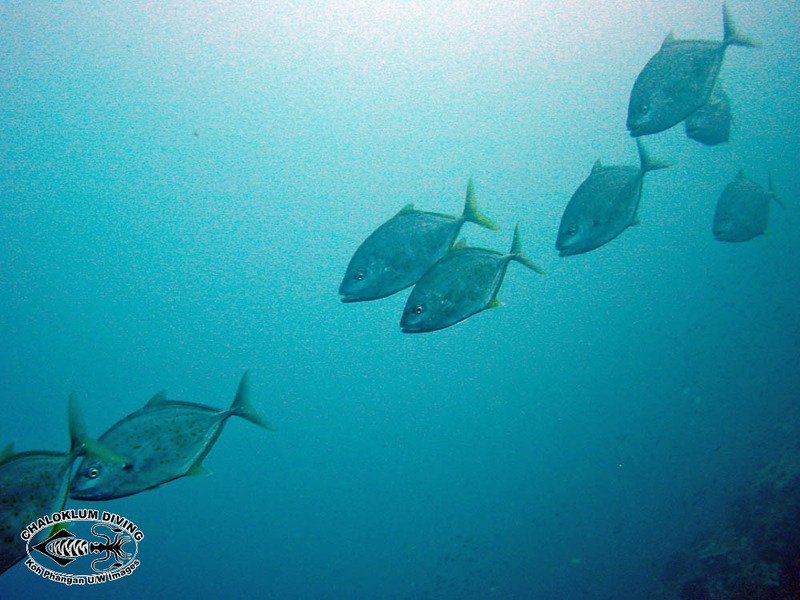 In the video there are a group of Gold-spotted Trevally swimming around a school of small fusiliers, looking for the chance to pick up a straggler.